Temple Beth Shalom is proud to participate in Project Bread's 51st Walk for Hunger! This year, a portion of the money we raise will support JF&CS Family Table. By walking with us or supporting one of our walkers, you will be helping Family Table feed hungry people living in 108 towns across Eastern Massachusetts. THE DETAILS: The Cutler Park Loop Trail is 1.8 miles around. Feel free to walk around once, twice or as many times as you desire! 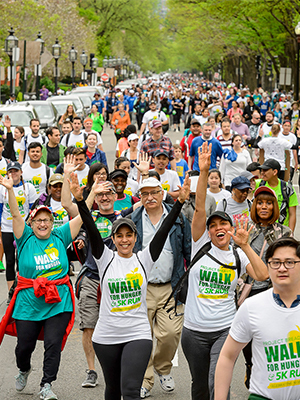 Bring yourself, your water bottle, bug repellant and comfortable shoes and join your community for a spring walk around Cutler Park for this important cause!